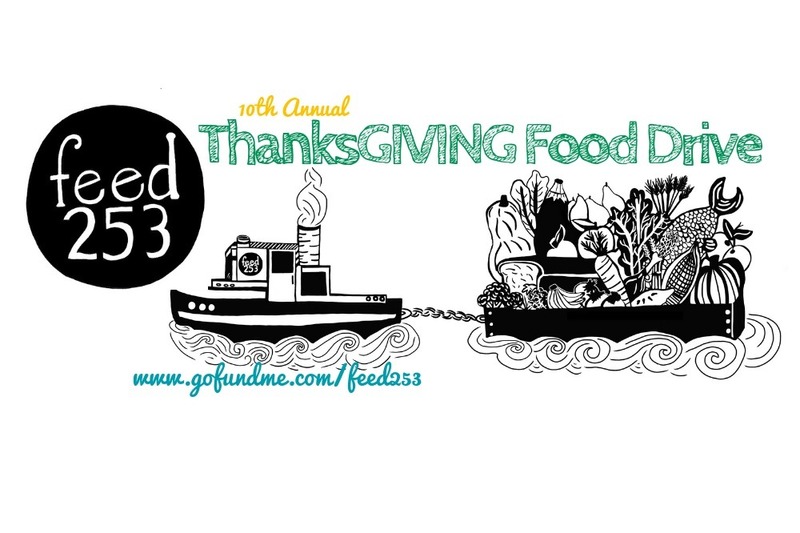 Feed253 began in 2009 as an office food drive. We called it our ThanksGIVING Food Drive, and collected funds from friends, coworkers, and family. With less than $200 in our pockets, we made a deal with a local grocery store and were able to donate 25 turkeys and fixings to the Rescue Mission in Tacoma, WA. Fast forward to 2017, when Feed253 delivered 15,000 pounds of turkey to local shelters and food banks in our community, plus another ton of produce, pies, and non-perishables. That's nearly 10 TONS of food for folks in our community who might otherwise go without. In addition to providing ThanksGIVING food supplies for Network Tacoma, the Rescue Mission, St. Leo's Food Connection, Bryant and McCarver Elementary schools, House of Matthew, and other local groups, we are part of the year-round twice-weekly meal program at the YWCA. Our mission here at Feed253 is to make it as easy as possible for our donors to give. Our time is 100% donated, and we are 100% committed to our vision of helping end hunger here in the 253. For 2018, we've set our goal at $10,000. Please share the word and help us make a difference in our community!